J Ever has been spinning for crowds of all sizes in DC, VA, MD and GA for over 13 years. 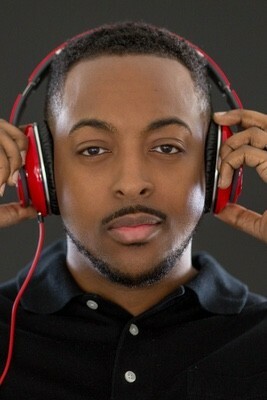 He is a 2nd generation DJ and has been raised around music his whole life. Finally when he turned 18 he was gifted his own professional DJ equipment and his career has taken off ever since. He is known for his quick transitions through dance, hip-hop, and top 40s tracks. His MC skills are just as impressive as his scratching ability which takes his events to an all new level. J Ever lives and breathes music and anyone who has been to one of his events know it from the very beginning. Praises for DJ J. Ever! DJ J. Ever did my 25th anniversary party. He had everyone on the dance floor all night long. I recommended him to many friends adn family and they all say the same thing he’s the best DJ for any event you may have plans for. I had a great experience using this DJ! This gentleman DJ J. Ever was very professional and made sure all my wants and needs were met. I used him for my wedding anniversary party which was a hit! My friends and family are still talking about it! Then he was hired again by our family for my son’s wedding the following year and his wedding reception and party were absolutely great! No one was sitting, this guy is gifted and talented. You can’t go wrong having him as your DJ! “★★★★★ a week ago DJ J. Ever was absolutely amazing! From our first meeting until the last song of the night he was professional, accommodating, and definitely knows how to get a party going! During the reception he kept us running on time and was able to work in all of the special moments we had asked for (toasts, garter toss, cake cutting, bouquet toss etc). Once the party started, the dance floor was packed the entire night! Our guests could not stop raving about how much fun they had! We definitely recommend DJ J. Ever if you are planning a party in Atlanta! Our experience with Lethal Rhythms was nothing less than amazing! Our DJ was DJ J Ever and he was better than anyone we could have hoped for! All of our guest spent the whole night on the dance floor and he was so wonderful at feeling the crowd and going with the flow. During the night, I had multiple people comment on how awesome the DJ was. I HIGHLY recommend asking for DJ J Ever if you need a DJ! We also booked a photo booth with Lethal Rhythms and it was a huge hit! Everyone had so much fun with it and the guys working it. After the wedding, Lethal Rhythms sends you a link to all of the pictures from the photo booth so we were able to see how much fun everyone was having. Our wedding was seriously perfect and Lethal Rhythms definitely contributed to it being all that it was!